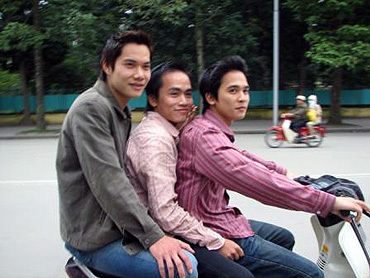 Food blogger Noodlepie  down in Saigon mentions that “he gave up driving a motorbike in Vietnam about three or four years ago” because it gave him ” zero pleasure and mucho stresso”. 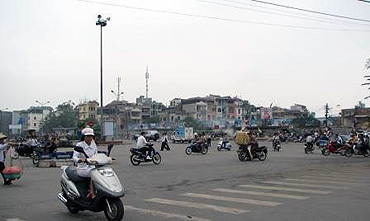 To see what the driving conditions are like in Saigon, check out the short video on his post. 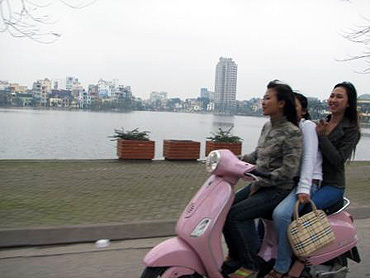 Recently departed Hanoi blogger, Hanoi Mark , in a post about his “most vivid images and experiences” of living in Viet Nam, captures another unique side of the Hanoi traffic from “under his big plastic poncho raincoat”.